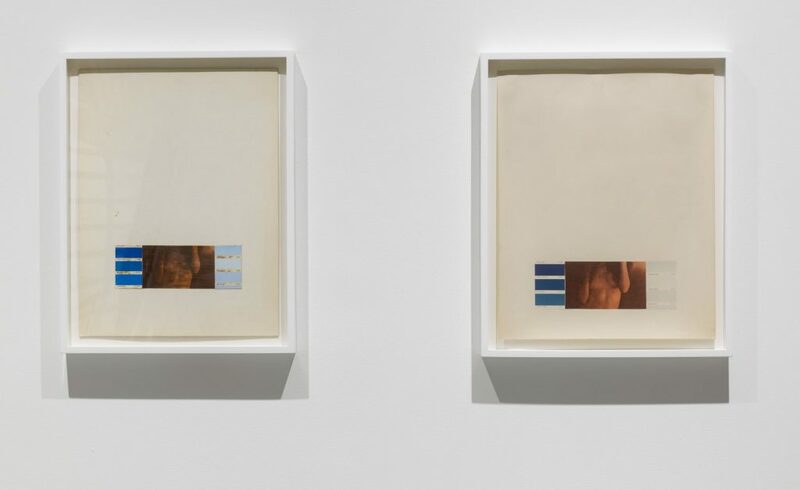 Elizabeth Dee Gallery is pleased to present the second research exhibition, Joan Wallace: Seminal Works from the 1980s to Now. The exhibition will open on Tuesday, February 28th, with an opening for the artist from 6-8PM. 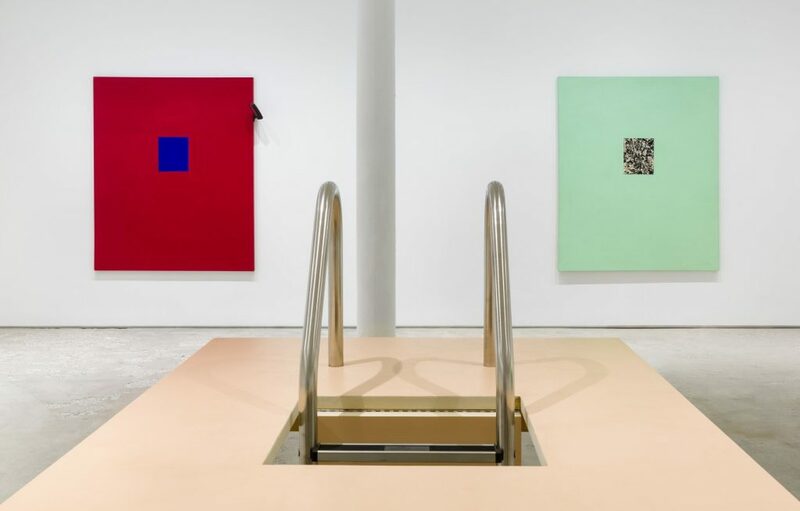 This is the artist’s first show in New York in 12 years. Wallace studied at the Hartford Art School in Hartford Connecticut with David Salle and Jack Goldstein starting in the late seventies, with Sherrie Levine and Edit deAk among the guest teachers. 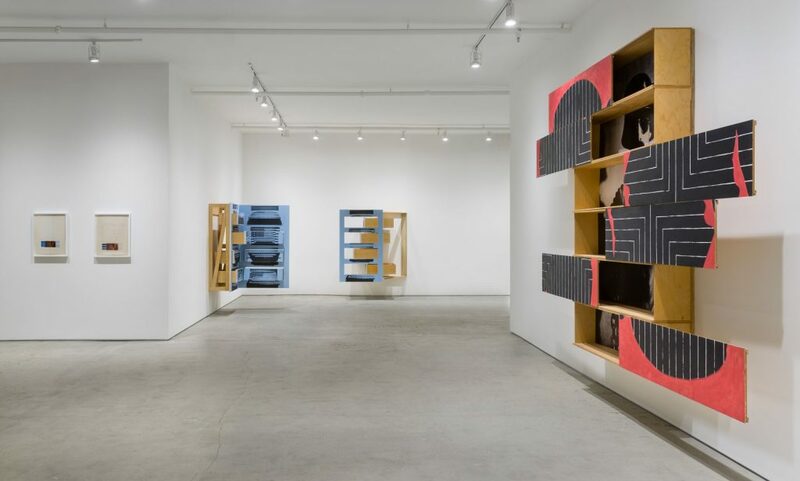 Geralyn Donohue and Annette Lemieux were also students during this period, after which Wallace & Donohue and Lemieux would establish themselves in the burgeoning East Village art scene. 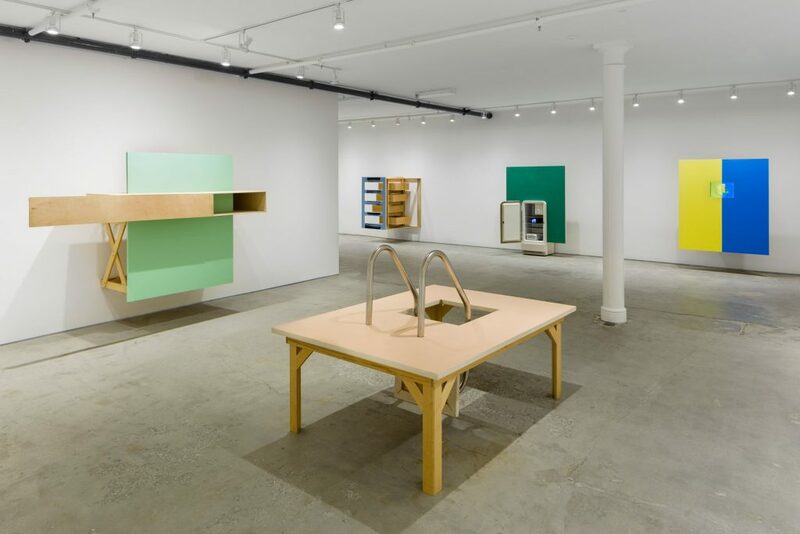 From 1983 to 1990, Wallace was part of the collaborative team Wallace & Donohue, which created work that is highly theatrical and self-aware, employing language, an absurdist sense of humor and various devices—rotating and sliding panels, track lighting, a surveillance camera—to interrupt the otherwise passive act of looking. Wallace & Donohue began to author their work separately in 1988, and dissolved the partnership two years later. 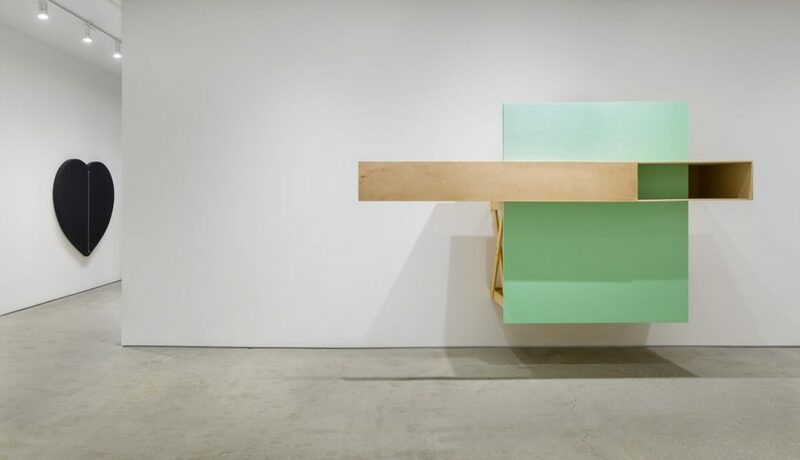 Wallace’s conceptually driven art is rooted in a unique form of critical writing she developed as part of the artist team, Wallace & Donohue. 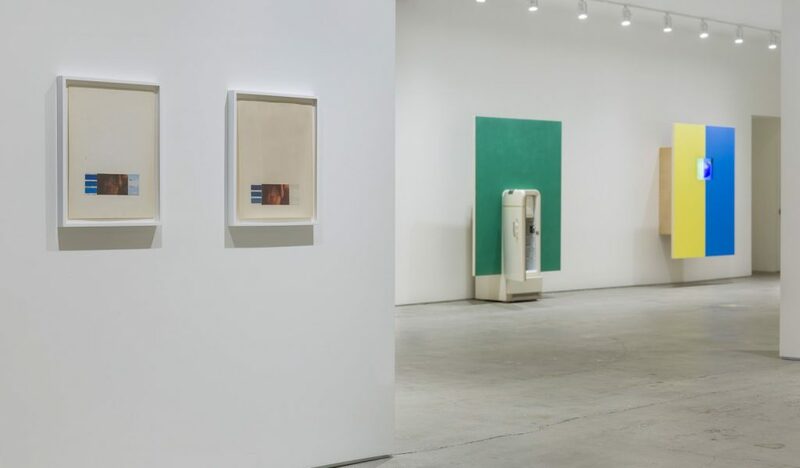 A selection of Wallace & Donohue’s texts will be on display from the 1981-87 period, exemplifying an aesthetic theory comprised of tightly conceived vignettes that house colorful, extemporaneous dialogue, comic timing and critical text. 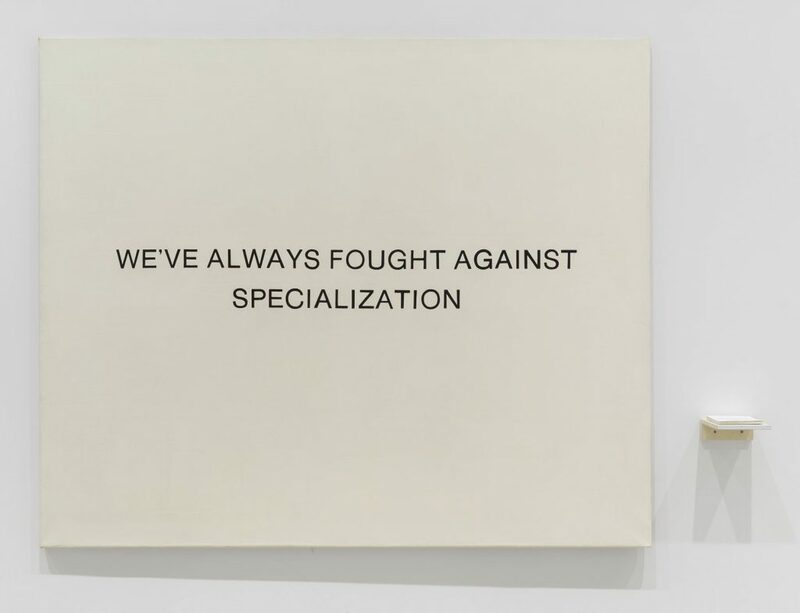 Wallace & Donohue’s writing extended to their press releases and distributed ephemera, as well as humorous, text-based performance pieces staged in the art world context. As Wallace’s work progressed its constructed aspects became increasingly complex, as seen in Standing, against all that’s left of home, Nos. 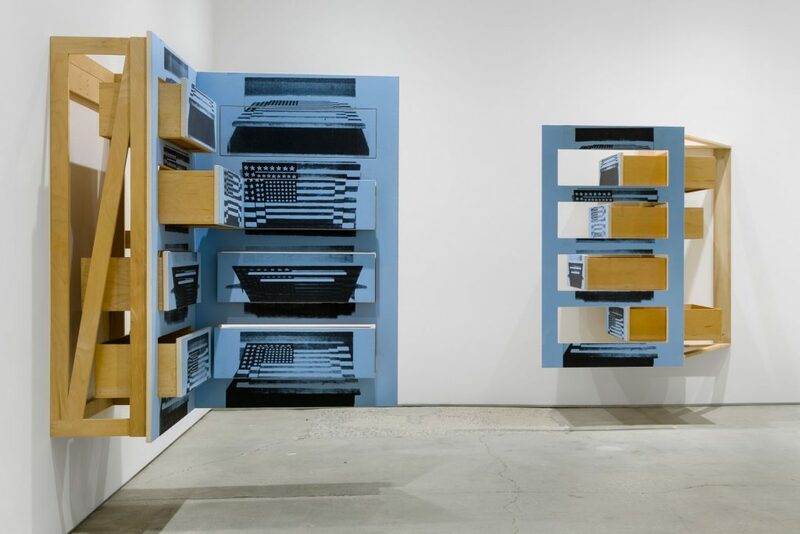 1 & 2 (2002), with its “drawers at cross purposes” overlaid with silk screens of Jasper Johns’ Three Flags (1958), shown at various angles of rotation. 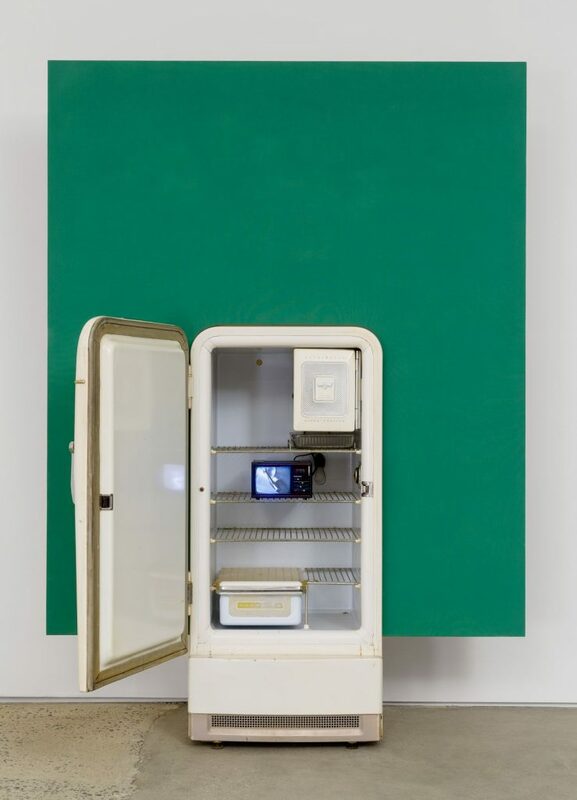 The inferred political content of the piece’s “variegated scrutiny” is, the artist states, a form of “subliminal protest.” In Piece of Cake (For Jack Goldstein) (2004), Wallace pays homage to Goldstein and his films. 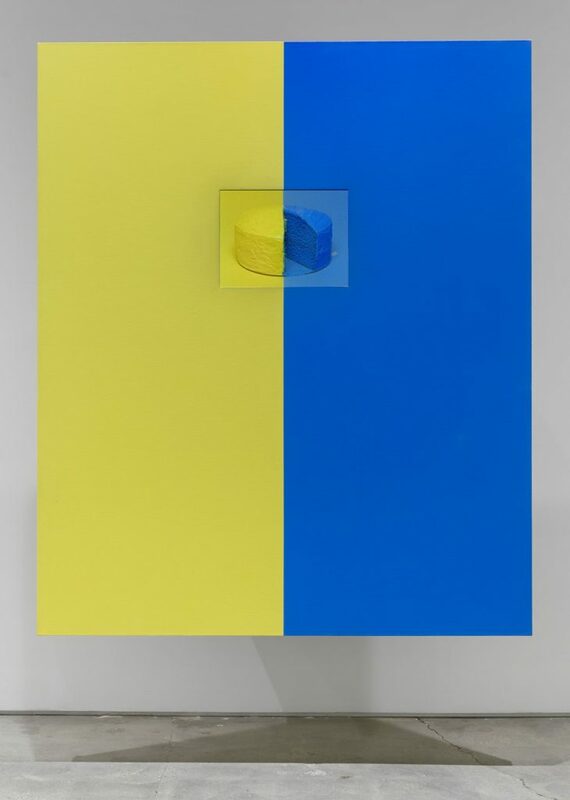 Lush filmed imagery replaces a cut out part of the painting’s surface to make for a substitute mise-en-scène, one that reflects the painting as a literalist object, while serving a more charged, narrative function. 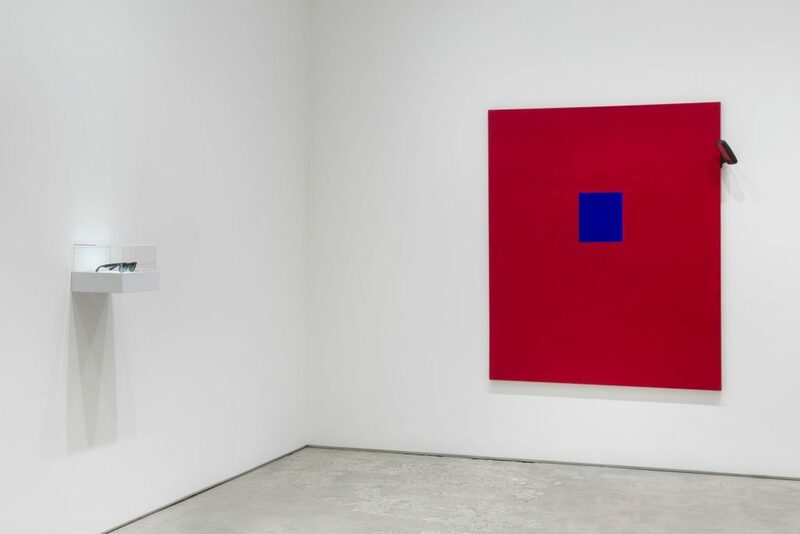 Installation view, Joan Wallace: Seminal Works from the 1980’s to Now, 2017, Elizabeth Dee New York. Courtesy Elizabeth Dee, New York. 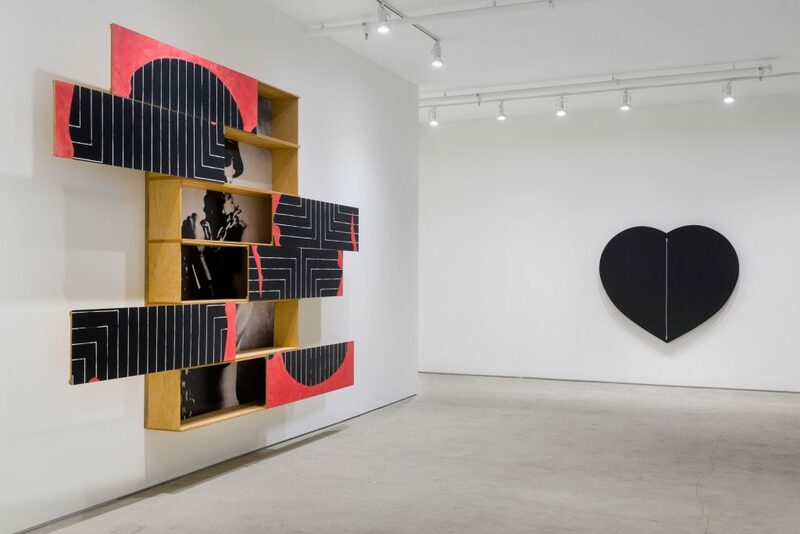 Courtesy Elizabeth Dee Gallery, New York. Latex on canvas, refrigerator, video monitor, VCR, 87 x 60 x 27 inches, 221 x 152.4 x 68.6 cm. 72 x 60 x 17 inches, 182.9 x 152.4 x 43.2 cm. 60 x 72 inches, 152.4 x 182.9 cm.